Week 1 is done and on to Week 2! The 1930s was a roller-coaster but I think the 1940s have just more hidden up their sleeves. The five men here represent different genres, and they were all quite the ladies men. I know one person (coughMontycough) whose Leading Man is in this section so let the voting commence! Again, asterisks next to a movie title indicate that it has been reviewed on this blog. Voting closes on the next Sunday (June 3rd) and I will be updating people periodically on the numbers. 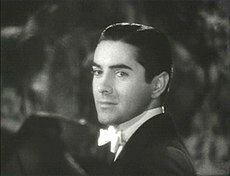 My Thoughts on the Nominee: I’m not well-versed in Tyrone Power‘s films. In fact the only film I’ve reviewed of his is the 1950s film Witness for the Prosecution (although I did commend his performance highly). He’s played all manner of men and considering he’s played Zorro he secures a nod here. I mean look at that hair and that gaze. And if anything he gets a nod for being referenced in a Glee episode! My Thoughts on the Nominee: Even those who haven’t seen his films know that Cagney immortalized the gangster of the film noir world. I’ve reviewed his work in The Public Enemy during my Jean Harlow Retrospective and still have to see White Heat. 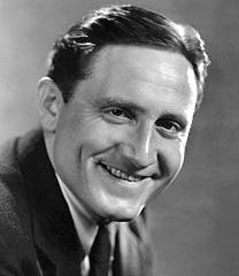 Along with playing a gangster the man epitomized patriotism in the musical Yankee Doodle Dandy, a 4th of July staple. Song and dance man AND a gangster? That’s range if ever I’ve heard it. My Thoughts on the Nominee: I had heard time finding where to play Tracy. I put him in the 1950s originally (and I’m sure some would say he belongs there more) but considering the five I’d already wanted for the 50s I didn’t want to drop Tracy entirely so I moved him here. That’s not to say he didn’t have any good movies here, he’d started making films with his long-time love Katherine Hepburn including my personal favorite Adam’s Rib. Tracy made more serious dramatic films and a horror movie as seen in Dr. Jekyll and Mr. Hyde but I wanted him here because he’s always been great at playing the serious fatherly type. The man hiding his need to laugh. A leading man may not always be incredibly good-looking but they must have a range and Tracy has all that! “Here’s looking at you kid.” Can we say 1940s? Why yes I am the definition of elegance? My Thoughts on the Nominee: It’s hard for me to choose between Bogart and Grant because they’re so different and yet they’ve made some of my FAVORITE movies of the 1940s. Grant has secured two reviews on this blog. My favorite Christmas movie The Bishop’s Wife sees him as a lovable angel who I would totally leave my husband for (sorry David Niven) and I recently reviewed his role as a man with two wives in My Favorite Wife. Personally though, I’m a sucker for Grant when he plays a baddie, or at least a misunderstood man. 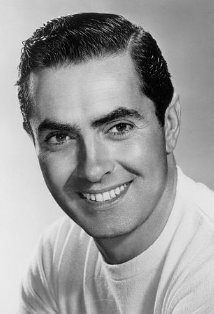 Case in point his roles in two Alfred Hitchcock films Suspicion and Notorious! I lean more towards Suspicion as he’s a bit more menacing but Notorious is just as good. And let’s not forget the little seen Bachelor and the Bobby-Soxer with Myrna Loy and Shirley Temple that I adore. Those are your nominees for 1940…interested in seeing who comes out on top! Happy voting! 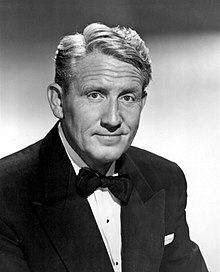 I’m sad that my beloved Gregory is not on the list 😦 He’s nominated for FOUR Oscars in the 40s and had about a dozen films that decade, some of them nominated and won Best Picture. 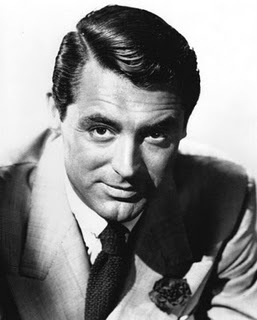 So he gets my vote of course, but since he’s not here, I guess a distant second would be Cary Grant though I’m only impressed w/ him in North by North West. Ruth you’d reminded me of Peck a few weeks back…just because you don’t see him here doesn’t mean he won’t be in another decade…hinthint. Oh ok, sorry I got a bit defensive there 🙂 I just think the 40s is his golden year but he’s also got some great stuff in the 50s and 60s. Lol no problem, I knew what you meant. I’m hoping that Henry Fonda is represented in a subsequent decade. Anyway, I’m pretty sure Bogey blew it with The African Queen so its between Tracy and Grant. Aw damn I knew I forgot a Fonda. We won’t see him this go round but I’ll definitely include him for next year! Jamena, it’s definitely hard for me to choose between them too. I love so many of their movies but they are two total opposites. Bogey was so tough in contrast to Grant as the ladies man. Thanks for reading! I’m not familiar with the top three actors, so it’s a tossup between Bogart and Grant for me. Really enjoy the work from both, but for the 40s I have to go with Bogart. Casablanca, The Maltese Falcon, The Big Sleep… it doesn’t get much better than that. That seems to be the leading duo…I’ll be lucky to see how long the tie between them lasts. Bogart DEFINITELY made an amazing body of work (as evidenced by all the films I listed that secured his nod). I REALLY need to review The Big Sleep soon!